For those of you new to Taylor Blitz Times we usually offer a parallel to current events with an episode from a generation or so ago. When the Raiders traded Khalil Mack to Chicago The Chancellor of Football dubbed it “The dumbest trade of a defensive player in 30 years!” To what am I referring to and what significance does it have now? Well in 1981 the San Diego Chargers were at an impasse with Pro Bowl Defensive End Fred Dean. Yes over contract issues and Dean held out and Charger Owner Gene Klein decided to trade Dean to an NFC “have not” in the San Francisco 49ers/ At that point a team that had not made the playoffs in 9 years and had never appeared in a Super Bowl. It was an attempt to punish Dean that backfired badly. Well right before the 5th week of the NFL season in 1981 the trade was consummated and Dean was a 49er. Without any chance to prepare Dallas OT Pat Donavan was across from a defensive terrorist. Dean wound up with 3 sacks and several hurries, one of which a Ronnie Lott interception in a 45-14 win. Not bad for a team that had lost 4 straight to Dallas including a 59-14 loss just 2 seasons before. An also ran whose last chance in a championship game had been thwarted by their bully had now turned the tables. The field tilted because of a pass rusher added late their opponents weren’t prepared for. It worked for those ’81 49ers who went on to Super Bowl XVI and Charles Haley and the ’92 Cowboys who went on to Super Bowl XXVII. Now am I saying the Bears are off to win the Super Bowl?? Time will tell and I have seen this happen beyond these two examples. All of a sudden the 2016 Taylor Blitz Times Defensive Player of the Year & NFL Defensive Player of the Year lands in an NFC North without a Pro Bowl Tackle and you don’t think it will be an issue?? Well since the 2010 NFC Championship Game when the Packers won 23-10 in Soldier Field, Chicago is 2-12 against “The Pack” and QB Jay Cutler was laughed out of the division. All of that humiliation has to fuel this journey into Lambeau Field. They’re going to have to play a conservative game and it’s imperative they steal a few possessions in this game. Not only do they have to find a way to get 1st round draft pick Roquan Smith on the field, they have to play their wildcard in Khalil Mack. Mack after sacking Brady last year. In this game its best to keep Mack from thinking and send him nearly every play after Aaron Rodgers. To ensure the Packers can’t slide the line to him, run combo blitzes from the strong side into the face of Rodgers. One adjustment is to slide TE Jimmy Graham to chip Mack. If Graham was a good blocker he would still be in Seattle. Rodgers needs him downfield where he creates mismatches. If they keep him in it slows Green Bay’s passing game. However in “Nickle” and “Dime” situations I would intermittently flip flop him as a pass rushing end and run those same combo blitzes. Why?? If you have watched Raider games he has rushed from both the strong and weak side. At some point the Bears have to get tired of being sick and tired. Its time to go attack with your new weapon. You have tilted the field and have a great pass rusher to possibly turn this game. Many Packer fans will claim “Well Rodgers practices against Clay Matthews and this game is in Lambeau.” Yet you forget the 2015 Denver Broncos won Super Bowl L and in week 14 hosted the Oakland Raiders and guess what happened? Mack starred in a 15-12 loss when he garnered 5 sacks and kept Oakland close. A bravura performance that set him up for the accolades he received in 2016. 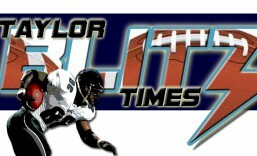 First…with Taylor Blitz Times….then the national media who were late to the party. Is Mack a Hall of Famer like Charles Haley and Fred Dean to whom he has been compared in this article? He is well on his way….and remember when it comes to 3-4 OLBs…. the original in Robert Brazile and Kevin Greene with the most sacks, The Chancellor has advocated and saw their inclusion into the Pro Football Hall of Fame when few thought they would. Hall of Famer Fred Dean w/ The Chancellor in 2018. No one gets to lay a greater claim. No one…so don’t even attempt it. However I did run into one Hall of Fame pass rusher last month in Canton. This entry was posted in 2018 Regular Season and tagged Aaron Rodgers, Chicago Bears, Fred Dean, Green Bay Packers, Khalil Mack. Bookmark the permalink.